Scott.... I just re-read your post #110. You mention that you'll need to redesign the entire tweeter section for the planar tweeter. Would like inputs on how to go about it though. I recently built a 2.1 boombox with a BT 4.2 TPA3116D2 2.1 subwoofer plate amp with variable crossover 30-200Hz and independent vol controls. 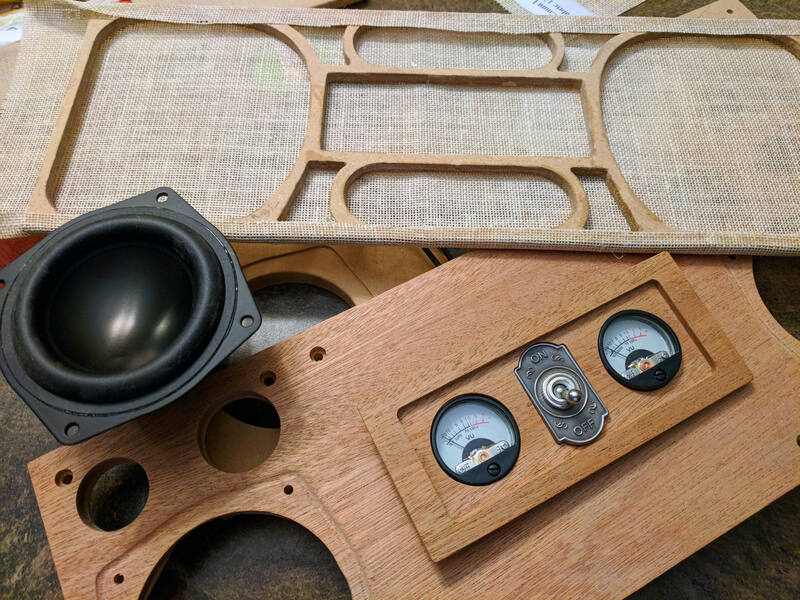 For drivers I used a pair AMT-8 tweeters with the RS100-8 pair crossed 1st order at 9000Hz and for subwoofer duties I used the W6-1139SIF. The AMT-8's really open up the sound. Hence, the plan to use these tweeters in the Helium build. I'll also await a response on the woofer section regarding the 0.9mH inductor instead of the 1mH coil. It's tight fit but I think it will all work out. Instead of a flatpack I did my own CNC flatpack. The port is going to be rear mounted and the woofer drivers installed from behind. Out of curiosity and fun, what if I swapped the tweeter with Dayton Audio ND20FA-6 it has similar specs to the tweeter in the original design. Would I have change anything? Yes, 3/4" ID on the PVC. I have not heard any port noise and it wasn't for lack of trying :D The bass is rolling off pretty steeply below 60 Hz, which I think is helping. Where do you guys get the true 3/4" ID pvc? Everything around here is .8 something. Thanks! Anything like consensus on polyfill or padding in these cabinets? Suggestions? These are a pretty tight fit once the crossover and port are in. I didnt put any fill in mine. I think you would be hard pressed to try and line the inside with padding. That's pretty much how I wound up. Once all the crossover parts and the ports were in the enclosure, adding anything else didn't seem like a good option. I'm looking at the formufit furniture pvc. True .75 internal dimensions. Or should I just use the regular stuff? I just used 3/4" schedule 40 pvc, which has an average ID of 0.824". If you find something with true 0.75" ID, you can shorten your port a little. Like, a quarter inch shorter? To give more room for the crossover, could one of the new ND series passive radiators be used? Which model do you recommend, and how many (1 or 2) per cabinet? A true 0.75" inner diameter port would be 5.75" long to give the same tuning as 7" of 3/4" schedule 40 pvc. I would go with MattP's approach in his recently published "Passive Aggressives". It uses the ND91-4 and the same cabinet with dual ND90PR's. Matt indicates he added all of the included tuning weights to get to his low 60's tuning. I have read through the tread and found several mentions of a MTM version. Does anyone know if these ever came to fruition?